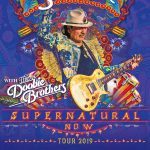 The one and only Carlos Santana heads to Dos Equis Pavilion this summer. Enter to win a pair of tickets. Jenny Lewis (Rilo Kiley) heads to Canton Hall in Deep Ellum this April. Throw your name in the hat for a pair of tickets. 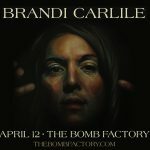 Brandi Carlile heads to The Bomb Factory on April 12. Throw your name in the hat to win a pair of tickets! 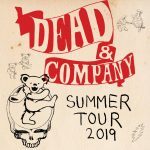 Dead & Company head to Dos Equis Pavilion in July of 2019. Enter to win a pair of tickets! 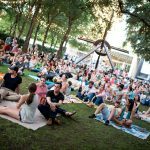 Win a picnic basket for two, courtesy of Wolfgang Puck, at ’til Midnight at the Nasher feat. Kirk Thurmond & The Millennials this Friday at The Nasher Sculpture Center! 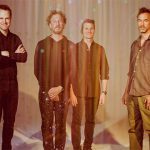 Guster heads to House of Blues in Dallas, and we’d love to send you. 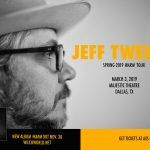 Wilco’s Jeff Tweedy heads to the historic Majestic Theatre on Sunday, March 3. Throw your name in the hat for a pair of tickets! 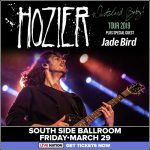 Hozier heads to South Side Ballroom on March 29! Throw your name in the hat to win a pair of tickets. 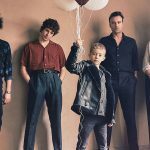 We’re presenting The Kooks at House of Blues in Dallas on Valentine’s Day in 2019. Win a pair of tickets for you and your boo. Or whoever. 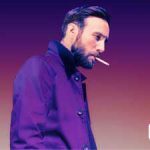 Ruston Kelly heads to House of Blues in Dallas on Thursday, January 24. Throw your name in the hat to win a pair of tickets!